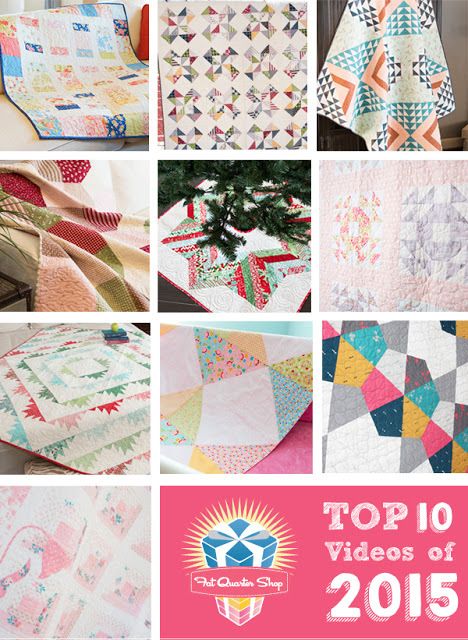 Now that 2015 has wrapped up, the Fat Quarter Shop is doing a run through of their top 10 videos of the year. And guess what: they are all free and they are all awesome. Since I have already made a couple of them (Birchen and Fractal) I decided to make a Single Wedding Ring quilt (and one other, stay tuned later this week!). Of course I had to mix things up a little bit and decided to supersize the block to make a baby quilt. My finished block is 25" and is set on point. 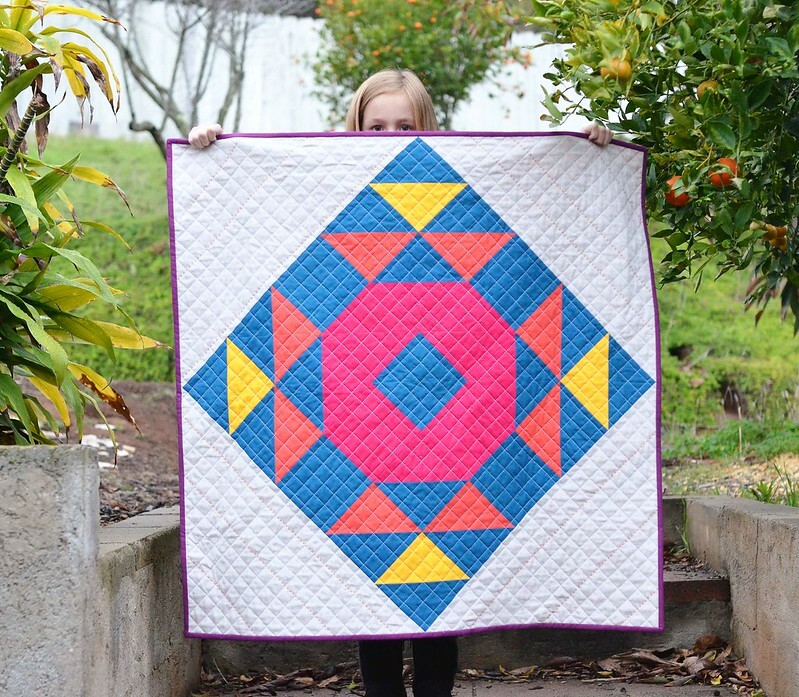 I have seen a few of these giant block quilts floating around and I can see why they are popular. 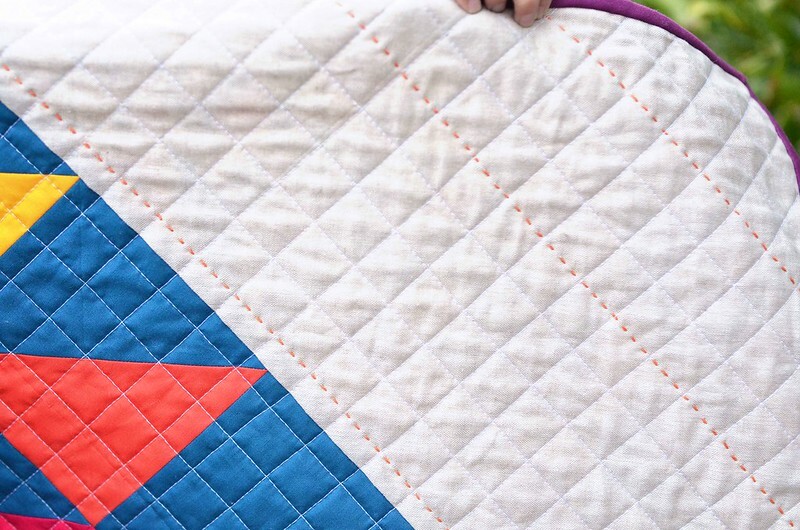 The quilt was quick and makes this traditional block look a lot more modern. My color inspiration came from the backing fabric, which is from Alexander Henry. I have had this in my stash for years, I just love all of the bright colors. The solids on the front are Kona Celestial, Coral, Sunny, and Pomegranate. The neutral is Essex yarn dyed in flax from Robert Kaufman. For the quilting I did a 1" crosshatching and I love the texture. Just for fun I added a few lines of hand quilting with orange perle cotton. Want to make your own Singe Wedding Ring quilt? I love your baby quilt! It looks so modern... yet has an Amish feel. It's beautiful. Very pretty! 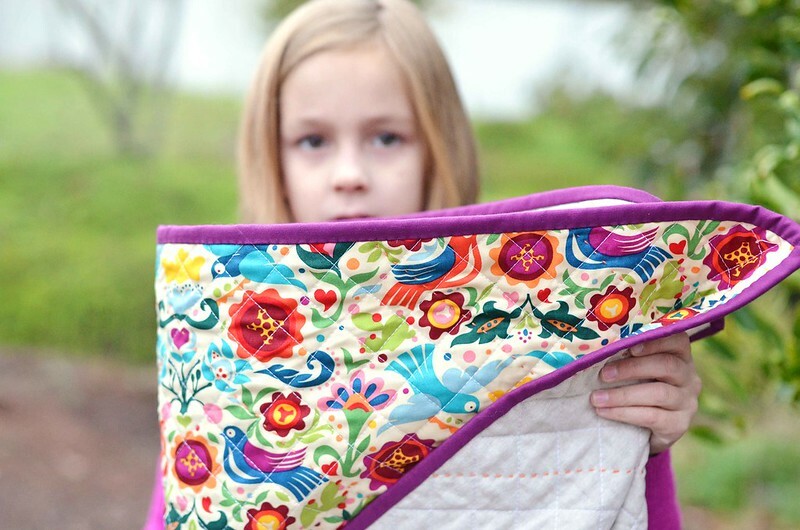 I really like your bit of hand quilting too! And I love the idea of making it big! Love it, will you share the pattern? Great finish! I really like it on point! LOVE YOUR QUILT! SO NEAT! I love your super-sized version. Once you get through initial "I know what's best" attitude of the manager here, you will agree that - he DOES know what's best, and he does not treat you like just some paycheck. During my wedding at wedding venues NYC, the wait staff was absolutely the best.